Marilyn and I are busy making three quilts. 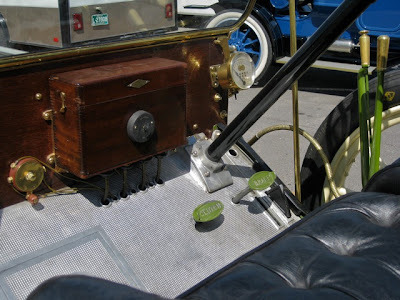 on the clutch and brake pedals on this vintage car. Can you think of a modern device that had labels when it was first produced? 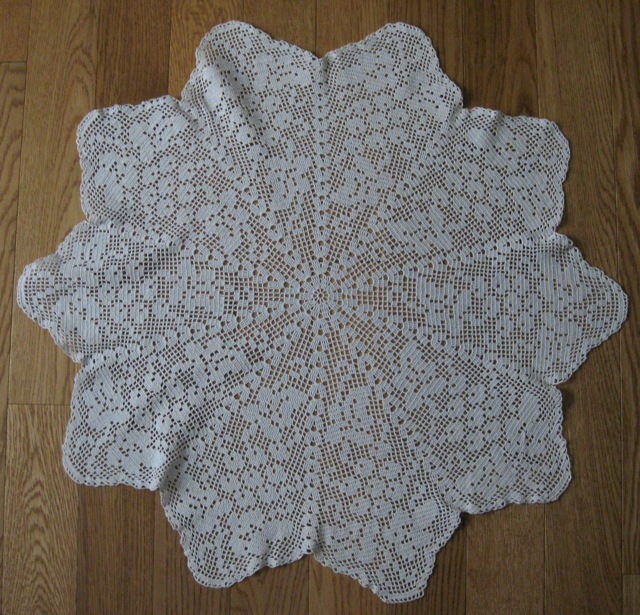 I found this doily (nearly 24 inches in diameter) on the Sale Table at the Senior Center. Even though it had a large water stain, the intricate crocheted piece was worth purchasing. Fortunately, the stain came out with a good soak in sudsy water and a vinegar rinse. All it needed was some TLC. 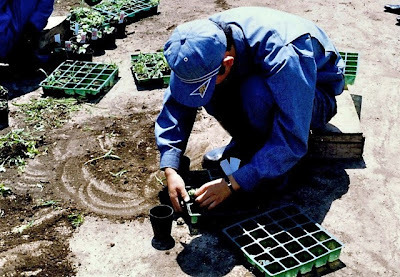 I didn't know until I visited the Sanbongi Nougyou Agricultural School that the Future Farmers of America organization had an international component. "Recognizing diversity as a strength of an organization, in 1955, the FFA went international. 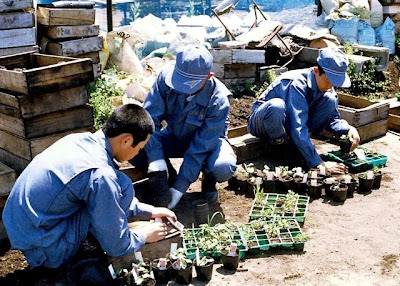 As a result, there are Future Farmer Organizations in Japan, Brazil, Columbia, Korea, Mexico, Panama, the Philippines and Thailand." Raspberry Delight, a Western Region Oddball Baby Blanket, is knit on size 8 needles. 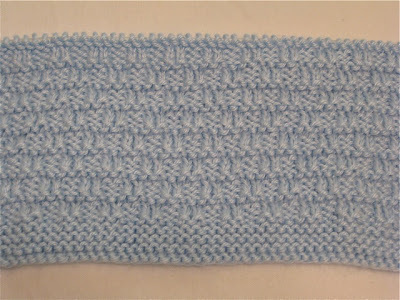 I used the Seed Block Stitch. The blocks on this blanket are five stitches wide. The needles for this blanket were donated by Julie, a friend in the Tuesday night, knitting group. I just discovered this site where stitch patterns can be sorted by stitch count, row count, stitch category, and offers thumbnails for a quick view of the patterns. Notice the other helpful links on the left side of the site. 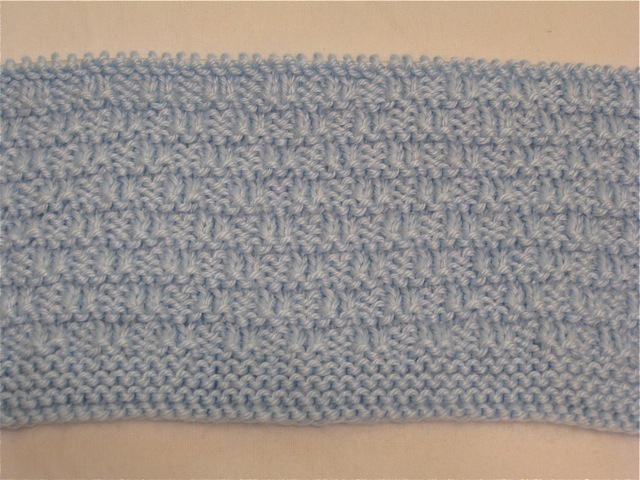 Sweet Dreams, a Western Region Oddball Preemie Blanket, is knit on size 6 needles, using the Purled Ladder Stitch. 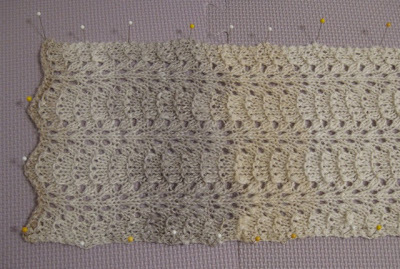 I am requesting this blanket be knit with pastel-colored yarn. 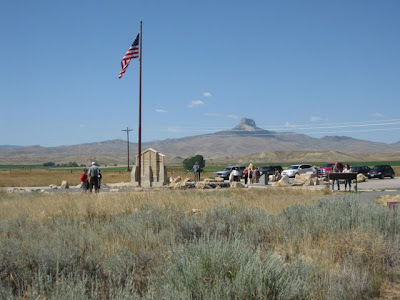 Saturday the Heart Mountain Interpretive Learning Center between Cody and Powell, Wyoming was dedicated. Nearly 1,200 individuals attended, including internees and their families, from across the United States. It was a day of recognition and a day of healing. Heart Mountain was one of ten camps created after the bombing of Pearl Harbor on December 7, 1941. Over 110,000 Japanese American citizens living on the Pacific Coast were ordered to relocate with as little as three days notice, taking only personal items that they could carry. 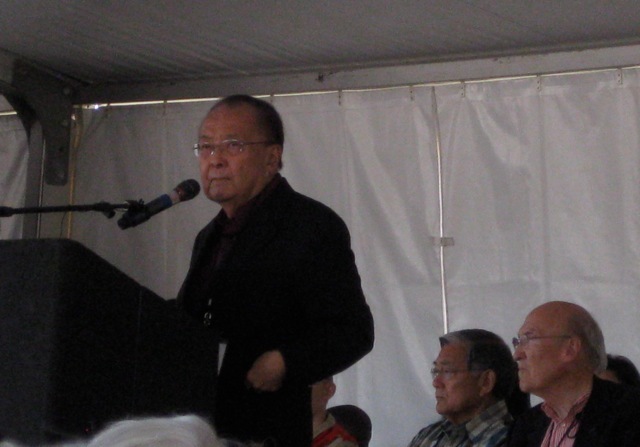 Keynote speaker at the dedication was Sen. Daniel Inouye, president pro tem of the U.S. Senate. I was impressed with this humble and amazing man and the message he presented on this historic day. Inouye spearheaded an effort that eventually led to the passage of the Civil Liberties Act which included to a formal apology and payment to internees. "Few governments are strong enough to admit when they are wrong," he said. "America is strong enough, and we did so. But it could happen again, and it's important to keep going so it won't happen again." Seated behind Inouye in the photo is Sec. Norman Mineta a former member of the U.S. House of Representatives and Commerce and Transportation secretary for two presidential administrations. On Mineta's left is Alan Simpson former Wyoming U.S. Senator who grew up in Cody. Mineta and his family were interned at the Heart Mountain camp: he and Simpson became lifelong friends after the two met at a Boy Scouts Jamboree at the camp. Addressing the crowd about the new interpretative center, Mineta stated, "It's not about the past. It's about the future because history always has the ability to repeat itself. What we are doing here is drawing a line in the sand to say, 'Never again.'" Above the new interpretative center, the ridge once covered with barracks has reverted back to sage brush, leaving little evidence of the massive camp compound that housed over 10,000 people from 1942 - 1945. Yet, in one area of the ridge a paved footpath with scattered kiosks provides information about the camp. The Wall of Honor lists the names of hundreds of Japanese Americans who, though imprisoned at Heart Mountain, enlisted in the military. The Wall stands proud under the flag which those young men fought and died to defend while their families were detained behind barbed wire. If that's not ironic, I don't know what is. On Saturday, it was interesting to hear the conversations of others as they stopped to read the informational plaques. Internees would present a detail that was not mentioned on the plaque or expand on those what were, creating an image with their words, their hands, and their memories. Construction began on June 15, 1942 with a crew of 2,000 laborers. A 20 x 120 foot barracks with 6 rooms was constructed in 58 minutes. 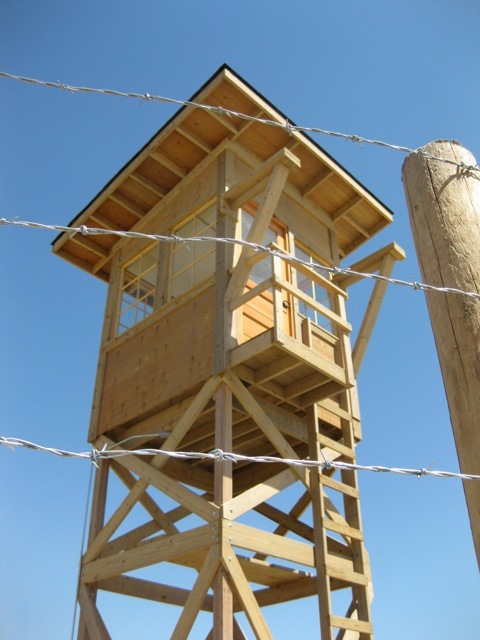 The first internees arrived August 11, 1942 and others soon followed. The Heart Mountain camp covered 740 acres; however, the living center was one mile square and guarded by 156 armed MPs, nine guard towers with search lights and a barbed-wire fence. 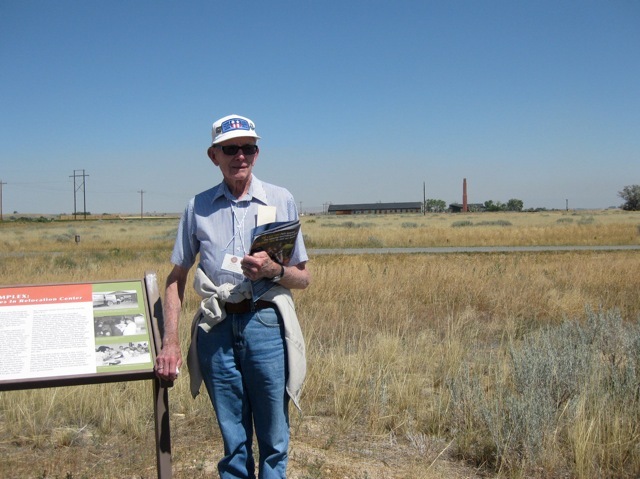 According to the National Park Service, the relocation camp reserve encompassed 46,000 acres. 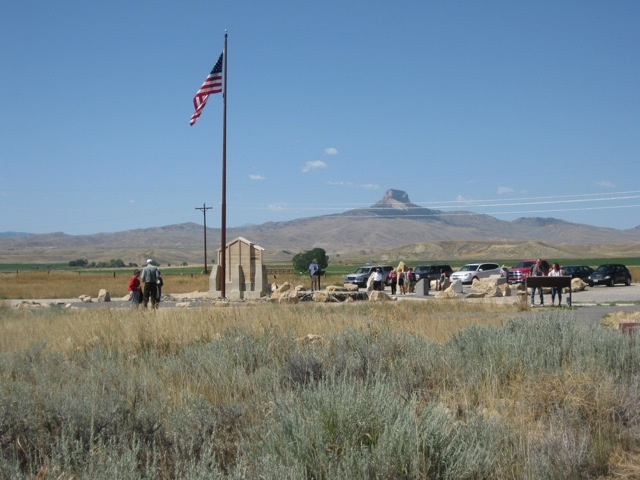 The Heart Mountain Foundation obtained 50 acres of the original camp site for the memorial and the Interpretative Learning Center. 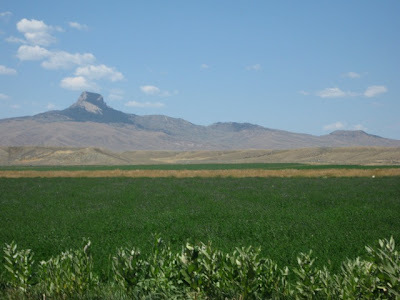 The remaining acres belong to the government or to private individuals. 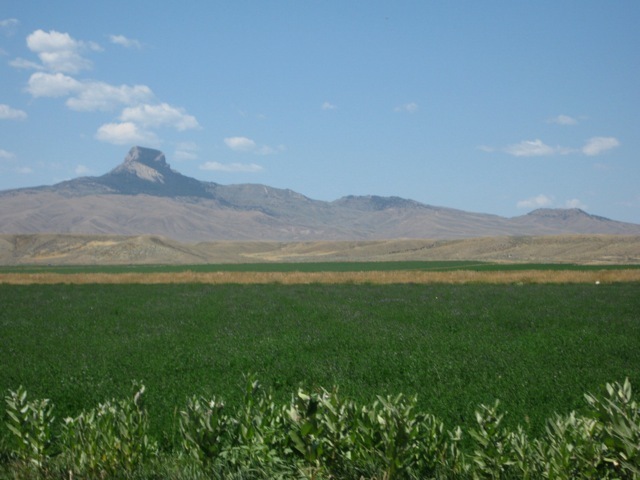 Much of the property surrounding the Foundation land is being farmed. The land where the camp was located has healed; hopefully, the ancestors of those who lived here, behind the wire, can also be healed. Last week I made an interesting discovery: Amazon has a feature that allows Apple or PC users to download Kindle ebooks on their computers, iPads, etc. I downloaded several free Kindle ebooks to read on my MacBook to see if I would like or even use the program. 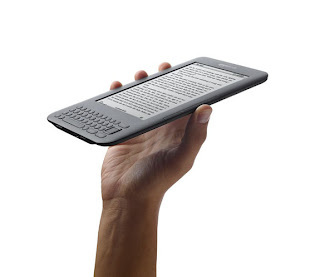 The reader has several features of the Kindle - bookmarking, annotating, highlighting, and setting up a library on Amazon and on the computer. If you don't own a Kindle, you might want to check it out. 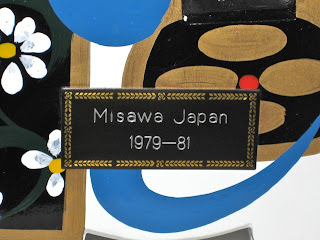 Signing Hachinohe Horses was a custom in Misawa. 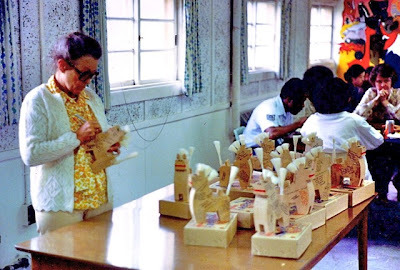 After everyone had written their good wishes on the horses, they were presented to the students who were shipping out as a remembrance and a token of friendship. The Hachinohe area of Japan has been known since the Kamakura period (1185 - 1333) for its breed of battle horses. 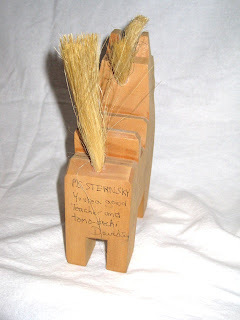 Horses have played an important role in lives of those living in this area; thus, the art of Yawata-uma figurines, or carved and painted wooden horses become a regional art form. The horses are consider one of the oldest and most recognizable toys in Japan. They are also known as Yawata Uma, which comes from their relationship with the activities at Hachiman shrines. 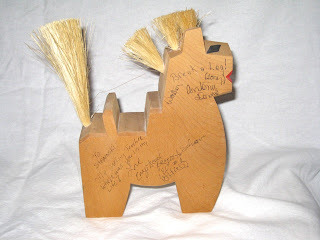 Traditionally the craftsman used only a hatchet and chisel to carve the wooden horses, then painstakingly painted them. The horses are still handcrafted and hand painted in a small factory in Hachinohe, Japan, which is close to Misawa. 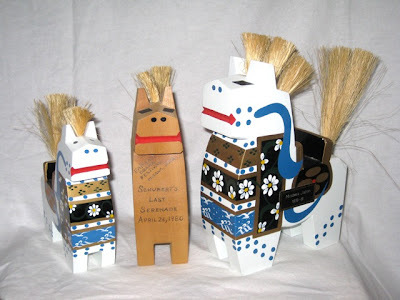 Hachinohe horses come in many sizes, from less than an inch high to over a foot tall, although some larger statues are also made. The horses are sold singly or in pairs and usually painted black or red, with black denoting the male and red, the female. I have the three horses pictured above (the largest is about 8 inches tall) and two tiny ones that I put on my Christmas tree. 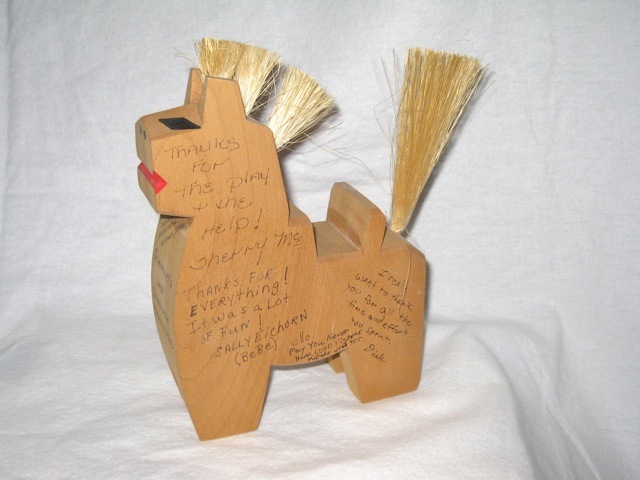 The unpainted horse was given to me by the small cast of the one-act play, Schubert's Last Serenade, which was presented at the Pacific Region Drama Festival. The cast members signed on the sides, the bottom, and even the back of the horse. Hachinohe horses will always remind me of my years in Misawa. After meeting two friends for lunch, I tried to leave the parking lot at the restaurant, but my car would not start: it was dead. AAA was called to arrange for a jump. I scrambled to find the phone number for my stylist, explaining that I may not make my hair cut appointment. An hour later, the guy AAA sent arrived and jumped the battery. All was well. I barely made my haircut appointment. Thinking I would need a new battery, I left the car running. I decided to go to the service station after my hair cut. It wasn't meant to be: the car stopped and refused to start. Another call was made for a jump. This time the service guy was from a different business and was not as competent as the first. If it wasn't so stressful, it might have been funny. The guy fumbled around inside the service truck cab, came out and stared at the hood, went back inside the cab and fumbled around even more. It was obvious he was looking for a hood-release lever. The service truck was a Ford, and since I owned a Ford pickup several years ago, I walked over and opened the hood for him. From that point, he didn't fill me with confidence, and it didn't get any better. My car refused to start. The service guy pulled out a cell phone and called his boss for advice. The boss told him several things to try. Nothing worked. By then, I was sure the problem was more extensive than a dead battery, probably electronic or electrical because some of the systems had power and others didn't. I decided it was time to "throw in the towel" and get the car to the Toyota dealer in Lander - 30 miles away. 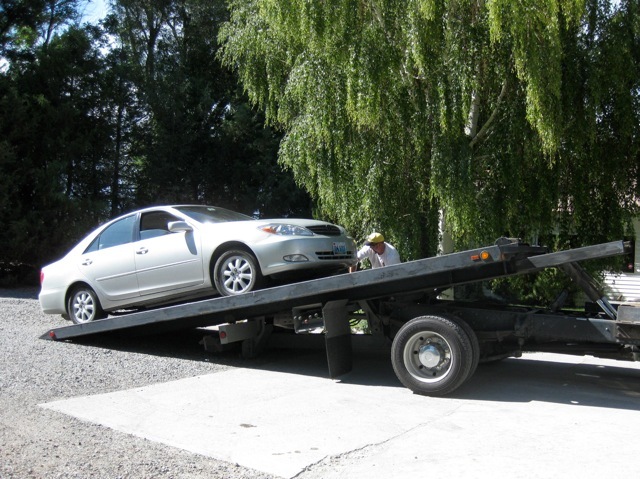 I asked for the bill for the service call and said I was having the car towed to Lander. The service guy's boss was somewhat miffed; he wanted to take the car to their shop and told me I was being foolish for taking it to Toyota. He said, I needed to have my husband (I don't have one) keep a sharp eye on the Toyota service department and the repairs that were done. That statement irritated me since it insinuated a woman could not make intelligent decisions about car repairs without a man's supervision. 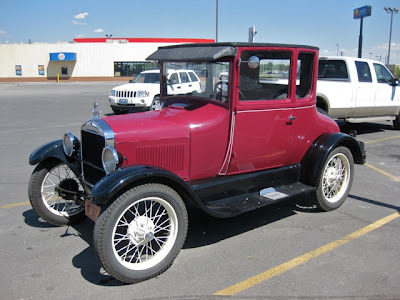 I wanted to tell the boss that I refused to put my car in the hands of a business that hired service techs who couldn't even open the hood on their own vehicle, especially when that vehicle was sent to provide a battery jump. A towing service was called, and within forty minutes, my car was being loaded on the truck by an extremely competent and professional driver. 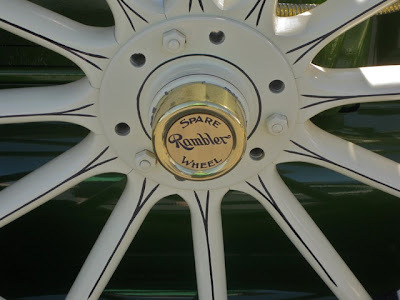 I immediately knew my car was in good hands, even without the approval of a "husband." featured this attractive and unique border. 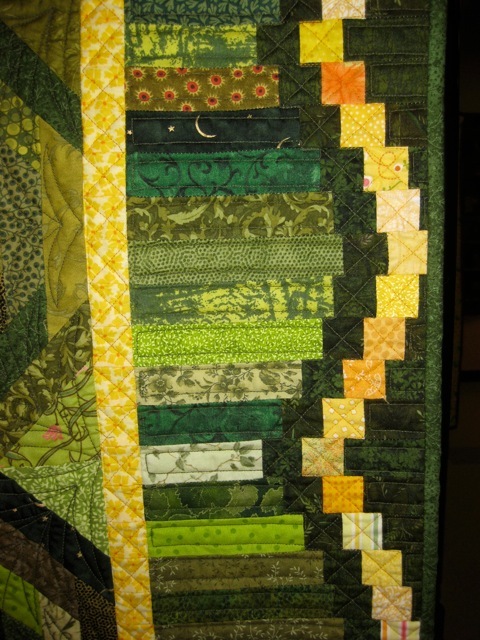 This border technique was also interesting. One of my sister's friends showed me a finished Wonderful Wallaby in early June, and I knew I had to make one. It is a seamless sweater, but does require some interesting maneuvers; thus, the difficulty level of "Early Intermediate." As directed by the pattern, I knit the cuffs and bottom ribbing on a 24-inch, size 6 needle and the remainder of the sweater on a 24-inch, size 8 circular. The sleeves were knit in the round on two 16-inch, size 6 (cuffs) and size 8 needles, but double-points could be used. 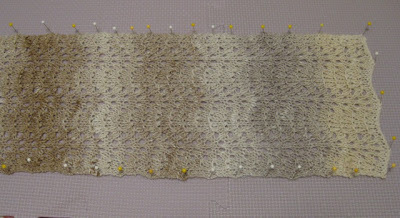 During the yoke decreases, I switched to a 16-inch, size 8 needle. The pouch has an interesting construction, picking up stitches just above the bottom ribbing and knitting on a separate needle and then a three-needle bind-off to connect it to the body of the sweater. 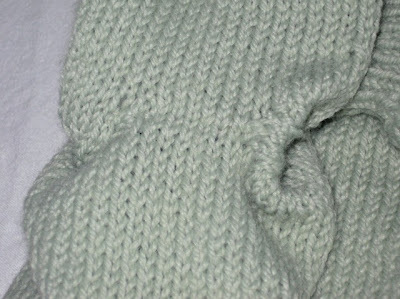 The hood requires grafting with the Kitchner stitch. 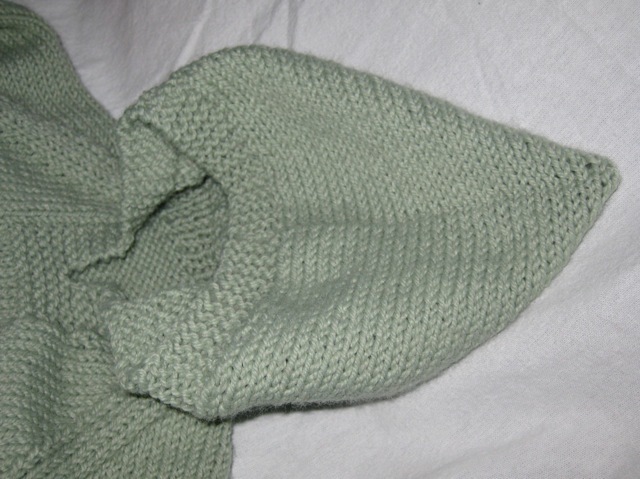 I use the technique all the time for grafting sock toes that are knit with stockinette stitch, but I had to practice the Kitchner for the hood's garter stitch edge. Kitchner is also used to graft six stitches at the bottom of the sleeve to six stitches on the sweater body. 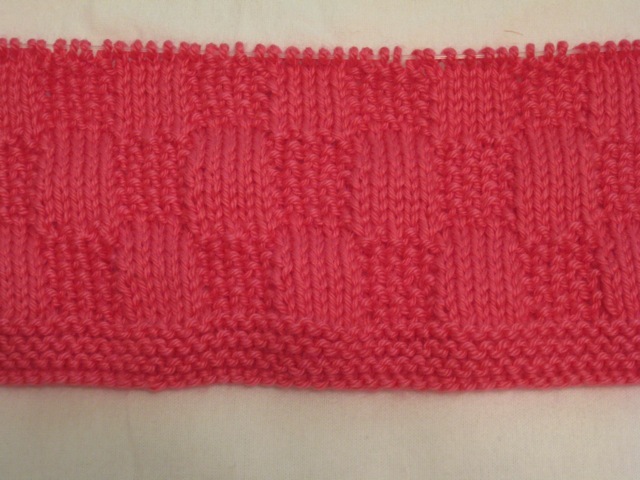 The Wonderful Wallaby that I knit is a size 2, and it required 8.5 ounces of Plymouth Encore, given to me by Rena. 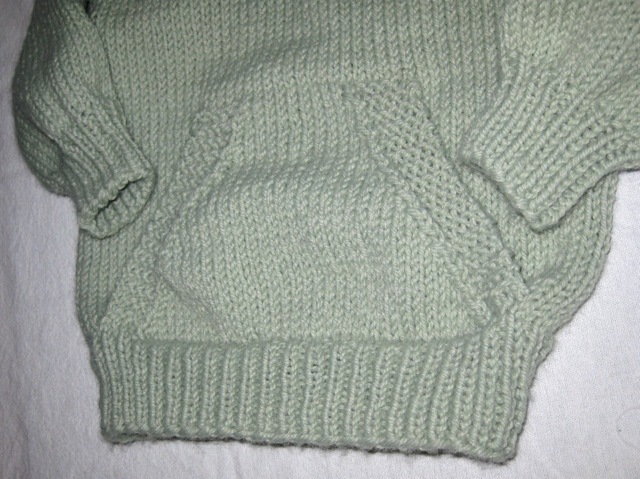 The sweater will be donated to Wool-Aid. 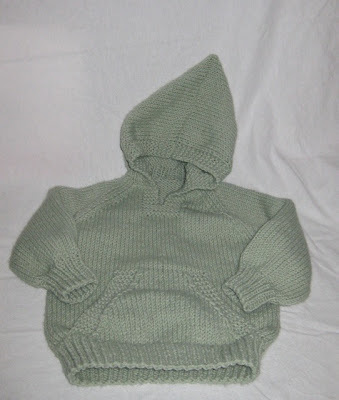 The pattern includes sizes 2 - 12 in a booklet form. In places, the wording in the pattern is a bit confusing, but after some trial and error, I was able to decipher what was meant. A second sweater will be much easier to knit. 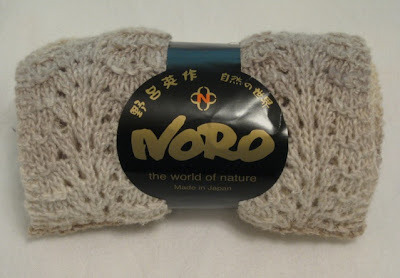 Several months ago a friend gave me a skein of Noro Silk Garden sock yarn. I loved the colorway and started a pair of socks, but as the socks progressed, it became clear that the texture of the yarn was not right for socks. I found the Noro Wave Scarf pattern and was pleased how the yarn striped and created an elegant fabric. 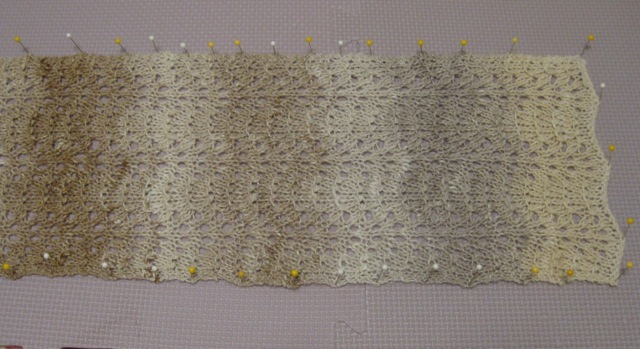 Since I had one skein of the yarn, I cast on 37 stitches on size 5 needles, and it blocked to nearly 7 inches wide. 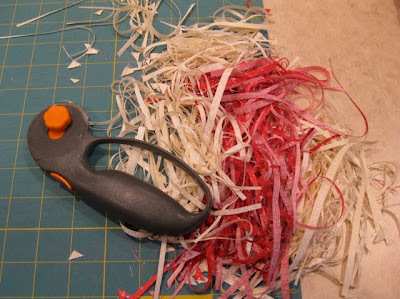 The sides curled making it necessary to block. 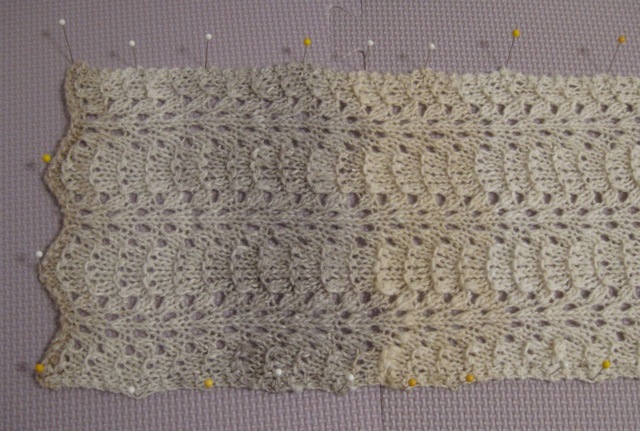 If I made the scarf again, I would increase the side border to at least four stitches to eliminate the curl. This scarf is a gift for a special friend. Everywhere I travelled in Japan I was delighted to see the professionalism of the tour guides and bus drivers. 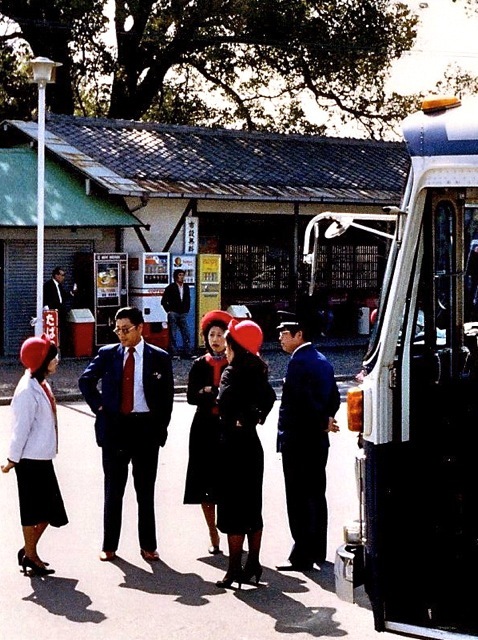 They were always dressed in a uniform, and the bus drivers even wore white gloves. Often the tour guides would carry large colorful flags to identify themselves in the parking lots so their group could gather before going to or coming back from the attractions. 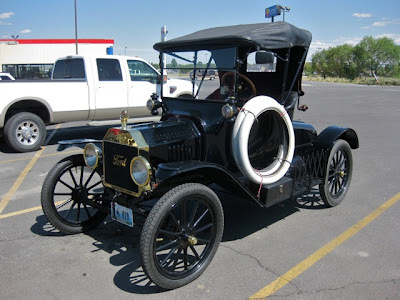 Last week I had the good fortune of seeing some vintage automobiles being unloaded from trailers in a local parking lot. Individuals from various states (I noticed Wyoming, Colorado, and Arizona plates) were getting the vehicles ready for a road tour. I don't know anything about the vehicles but wanted to share some photos. 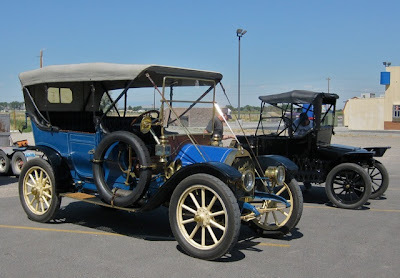 Just seeing these cars was a delight, but I would have loved to be a passenger for the pending road trip. 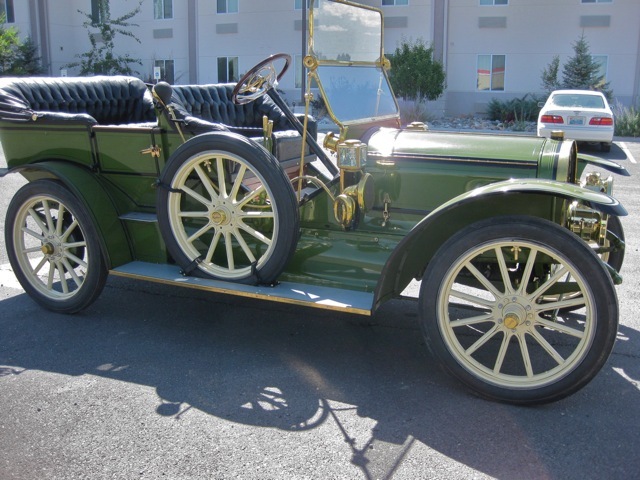 Can't you imagine riding in one of these with a huge hat, a trailing scarf, and goggles? If this basic, black model doesn't interest you, how about one that is a bit brighter? I don't know if the trailers were left at the motel while the cars were on tour or if they were part of an entourage. I do know that wherever these cars go, they will draw an admiring crowd. More photos will be posted another day.